You think you’ve got life sorted and then a child like Stevie comes along. But don’t think of Stevie as a tragedy. Don’t think of Stevie as a problem. Stevie was just a little girl. A gift to the world. A lot of bad things happened to her. But she changed the world for a lot of other little girls and boys. Wordjazz for Stevie is a celebration of Stevie’s life, a life filled with pain and hurt but a life that also flowed out with love. Read this book. It will change how you feel about many things. 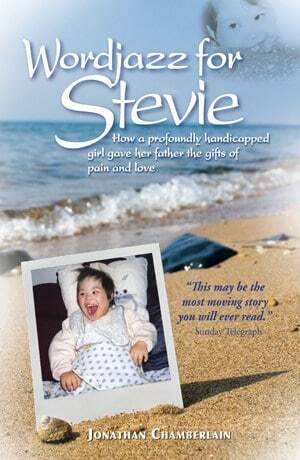 It will change how you feel about girls and boys like Stevie. Which one of Jonathan Chamberlain’s previous books was chosen by Dymocks Booksellers as one of their “100 great reads of the decade”? 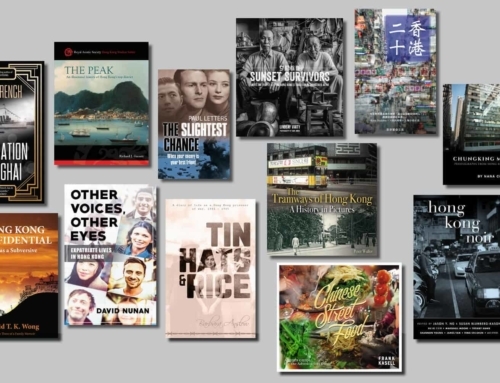 The first six correct replies to appear in the comments below will be the winners; we’ll send the prize copies to any mailing address in Asia. Thanks to all, plus a few received by email… nobody got it wrong! Books are on the way.